John Maclean was born in Pollokshaws, Glasgow, in 1879, the second youngest of four children. Despite the death of his father when John was eight, and the family's subsequent descent into poverty, John's mother was determined that he should receive a full education. After attendance at elementary school, John trained as a teacher and eventually gained an M.A. from Glasgow University in 1904. 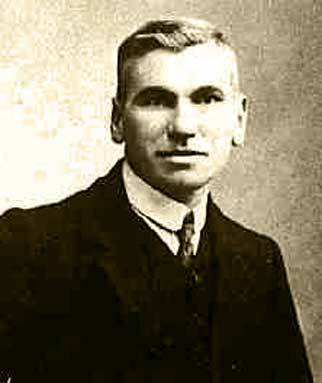 John Maclean's political career began when he joined the Pollokshaws branch of the Progressive Union, a body which discussed philosophy, science, literature and politics. In 1903 Maclean joined the Social Democratic Federation (SDF), the first Marxist organisation in Britain, where he quickly made a name for himself as a talented orator and political agitator. During the summer holidays, when Maclean was free from his duties as a schoolteacher, he toured the industrial centres of Scotland, spreading the word of Marxism to workers outside factory gates and in public halls. In 1908 Maclean began teaching classes in Marxist economics and industrial history. These classes, held in Glasgow, were open to trade unionists, political activists and the general public alike, and proved a great success. During the years immediately prior to the first world war, Maclean became increasingly opposed to the pro-war stance and policies of the SDF and its leadership. In 1911 Maclean joined the newly formed British Socialist Party (BSP) and became a vigorous anti-war and anti-conscription campaigner. Inevitably, Maclean's political agitation led to confrontation with the law. In October 1915 he was arrested for the first time under the Defence of the Realm Act 1915 (DORA) and charged with uttering statements calculated to prejudice recruiting. Maclean was found guilty and fined five pounds, but he declined to pay the fine and instead was sentenced to five days imprisonment. His conviction was immediately followed by his dismissal from his post as a teacher by the Govan Board of Education. From this point onwards Maclean devoted himself full-time to the cause of revolutionary Marxism in Scotland. On his release from prison, Maclean continued with his anti-war agitation, and in February 1916 he was again arrested under DORA and charged with six separate offences of sedition in relation to anti-conscription speeches he had made at open-air meetings throughout the Clydeside region during January and February of 1916. On 11 April Maclean was found guilty on four of the charges brought against him and sentenced to three years penal servitude. However, massive agitation on his behalf forced his release from prison on 30 June 1917, having served 14 months and 22 days of his three-year sentence. When the Bolsheviks came to power in Russia in 1917, Maclean was appointed Soviet Consul to Scotland in recognition of his revolutionary agitation and his tireless work in support of the Bolshevik revolution. Maclean opened an office for the Consulate at 12 Portland Street, Glasgow, but the Consulate was not recognised by the British authorities, and Maclean and his staff suffered constant intimidation and harassment. In April 1918 the police raided the Consulate office and again arrested John Maclean under DORA, on 11 charges of attempting to cause mutiny, sedition and disaffection amongst the civilian population. At his subsequent trial at Edinburgh High Court in May 1918 Maclean defended himself, declaring: "I am not here as the accused, I am here as the accuser of capitalism, dripping with blood from head to foot" Maclean was found guilty on all charges and sentenced to a period of five years penal servitude. "I am not here as the accused, I am here as the accuser of capitalism, dripping with blood from head to foot"
In July 1918 Maclean, fearing that his prison food was being interfered with, began a hunger strike. The Clyde District Defence Committee was formed in the immediate aftermath of the trial to campaign for Maclean's release. Weekly marches were held in Glasgow, public demonstrations took place in London, and there was support from socialist and libertarian organisations in Europe and Russia. After sustained national and international pressure, the coalition government of Lloyd-George eventually agreed to Maclean's unconditional release in December 1918, shortly after the signing of the armistice. On his release, Maclean was granted a royal pardon by the King for his two prison sentences of 1916 and 1918. Maclean refused the 'free pardon' by the King, telling the Under-Secretary of State for Scotland that the workers who had campaigned on his behalf had earned him his freedom and not the King. In 1920 Maclean found himself at odds with both the British Socialist Party and the Socialist Labour Party, as an attempt was made to establish a British communist party. Maclean believed in the need for a Scottish communist party, arguing that the Marxist flame burned brightest in Scottish workers and that a Scottish communist party would have greater chance of securing a workers' revolution in Scotland as a first step towards a British revolution. Paradoxically, this meant that Britain's leading Marxist revolutionary would remain outwith the sphere of influence in the formation of the Communist Party of Great Britain in 1920. Later that same year Maclean formed the Tramp Trust Unlimited, a revolutionary flying squad of Marxist agitators and propagandists who toured the industrial regions of Scotland holding open-air gatherings. The Trust consisted of Maclean, Harry McShane, Sandy Ross, Peter Marshall and Jimmy MacDougall. In May 1921, after making a speech at an open-air meeting in Airdrie encouraging miners to lead a workers' revolution, Maclean was arrested once again and charged with sedition. He was found guilty and sentenced to three months' imprisonment, which he served under the status of 'political prisoner'. On his release Maclean plunged himself back into political campaigning, this time on behalf of the unemployed. 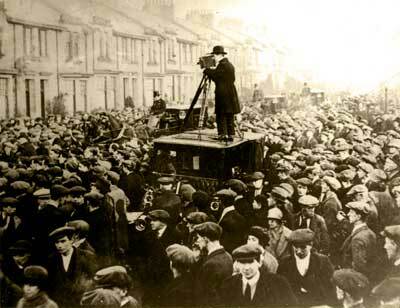 In September 1921, following a speech at an open-air meeting in Glasgow in which he suggested that the unemployed should just take food rather than starve, he was again arrested and charged with sedition. He was found guilty and sentenced to one year's imprisonment, again served under the status of political prisoner. John Maclean died aged 44 on 30 November 1923 at his home in Pollokshaws, his health ruined by constant political activity, five terms of imprisonment, the period of hunger strike and the subsequent force feeding by prison authorities. Maclean's funeral march, led by the Clyde Workers' Band, was followed by between 10000 and 20000 people through the south side of Glasgow to his final resting place in Eastwood cemetery. 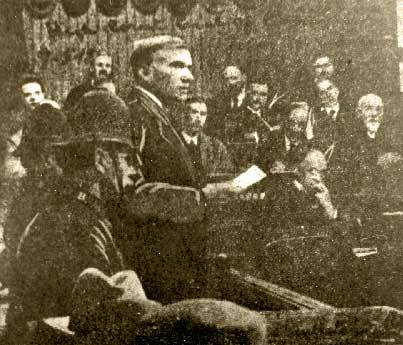 After a long period of neglect, British labour history now affords John Maclean his rightful place as a leading revolutionary of the 1910-1922 period. However, that which has taken the authors of history a long time to recognise was long ago acknowledged by the workers of Glasgow. They conferred on Maclean the title of champion of the labouring classes, and his memory is still held in great esteem to this day by the working people of Glasgow.